Winger Ashley Hodson also returned with a goal, coming off the bench to make her first appearance since suffering anterior cruciate ligament damage in May 2018. Further efforts from Laura Coombs, Courtney Sweetman-Kirk, Leandra Little - plus an own goal - saw Vicky Jepson’s side set up a fifth-round clash at home to Millwall Lionesses. New signing Purfield started at left-back and was quickly into her stride, offering a potent threat as she attacked at will down the flank. After just two minutes she put in a fine cross that picked out Yana Daniels unmarked at the back post but the Belgium international was unable to hit the target. Coombs went close on 18 minutes when she fired just wide after more great work from Purfield. The home side’s dominance was then rewarded with the opening goal on the half-hour mark. Following a well-worked corner, Coombs drove in a curled effort from the right that deflected over the head of goalkeeper Emma Kirby and into the net. It was 2-0 moments later, Sweetman-Kirk netting her 10th goal of the campaign. A lovely weighted pass from Christie Murray sent the No.9 clear to convert a delicate lob. In the second half, Jepson’s side laid siege to the MK Dons goal. 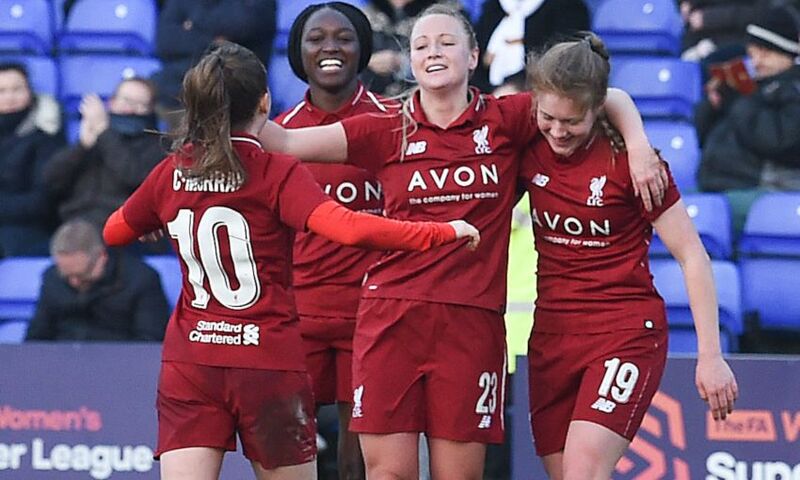 Leighanne Robe had an effort cleared off the line before they notched a third on the hour mark, Little claiming her first Liverpool goal with a header from a corner. And just a minute later, Purfield celebrated her debut with a spectacular effort from the left side that flew into the top corner for 4-0. Substitute Hodson marked her comeback with a brilliant goal on 79 minutes. Cutting in from the right, she curled an effort home to prompt emotional celebrations on the touchline with Jepson and physio Hina Chauhan. Rinsola Babajide, Robe and Murray all went close to finding the net before the sixth and final goal arrived five minutes from time. The impressive Purfield burst into the penalty area and her cross was deflected into the net by an unfortunate visiting defender.